Key ring fobs can have a smart chip in them. Please select the colour you require. Each fob comes with a “o” ring to attach to your normal key ring. 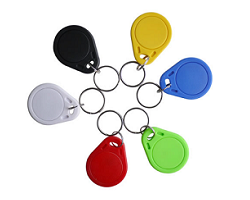 Key fobs can be customised with your logo should you wish. Please call 01295-660017 to discuss your requirements.